Aloha and Welcome to Our Hawaiian Hideaway's Website! Sorry our website is under construction but The Hideaway is open for business! Please scroll down this page to see a few pictures, and check our calendar for available dates. Your Big Island Adventure Starts Here! Come see one of the most active Volcano's in the world. Scroll down this Page, and check our photo gallery to see what you are missing. We are located half way between Hilo and Volcano National Park on the BIG ISLAND of Hawaii. Rates from $68/Night with a 3 Night Minimum. Lower Rate for Longer Stays. Rates are for Double Occupancy. Rates subject to change without notice. Book your stay with us TODAY!!! At these rates we are filling up fast!!! FREE WIRELESS HIGH SPEED INTERNET, CABLE TV, AND FREE LOCAL & LONG DISTANCE CALLING - All for the same low price. There is a Cleaning Fee, and HI Tax added to all Invoices. We also require a "Fully Refundable Security/Damage Deposit"
If total privacy is what you seek - you've found it! 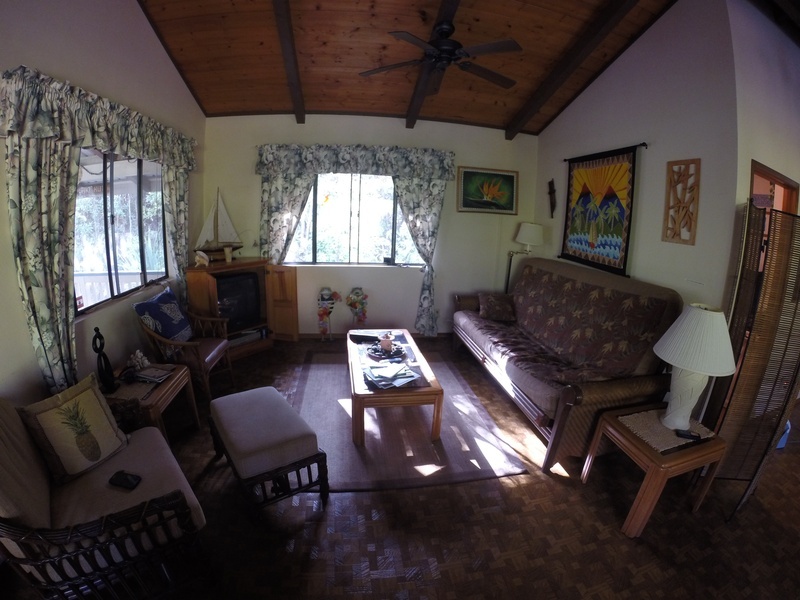 You will be totally alone on 2 Acres of unspoiled land in our lovely Hawaiian Garden Home. 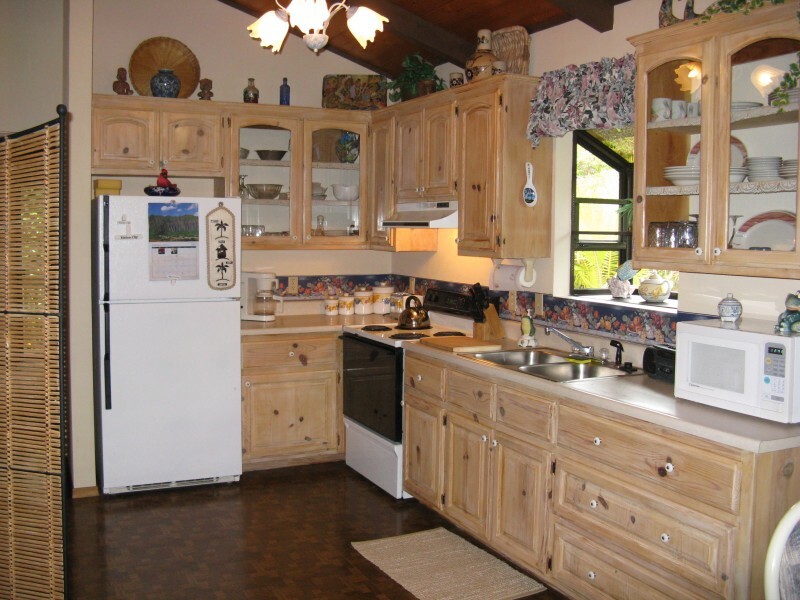 Many vacation homes have the owner on the property with you or you will be with other guests - Not at The Hideaway - Our Hideaway is a very clean, well cared for, "NON-SMOKING" home. Our policy is no smoking anywhere on our 2 acres property to keep our little piece of earth pristine. Our botanical garden paradise comes with a 1000 sq. 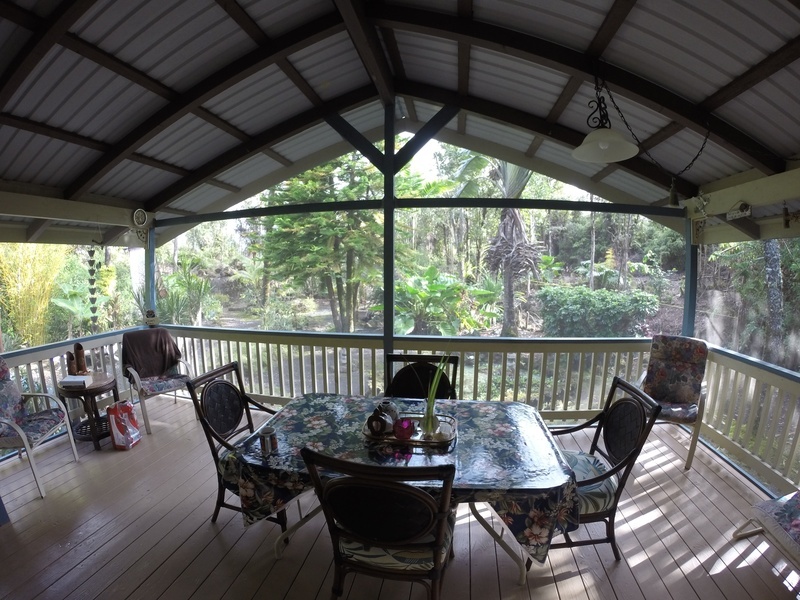 ft under roof 1- Bedroom, 1 - Bath Home with a beautiful fully equiped kitchen, and screened in lanai.